This is the sensation of your stomach being constricted by a gastric banding similar to an adjustable surgical gastric/lap band. This sensation results from a non-surgical procedure that uses hypnosis and the power of your mind. Since your sub-conscious mind regulates all of your body processes, it produces the sensation of constriction on your stomach. You feel satiated with smaller quantities of food, you eat less and you easily make better food choices. The result is that you steadily lose excess weight, reach your healthy weight goal, and easily maintain a balanced nutrition thereafter. Many clients have had wonderful success and have been able to regain control over their eating behaviours, no longer feeling that food controls them. We all know Diets do not work. You lose weight only to gain it back when the gym membership has lapsed or you finish your current diet. Feeling deprived, and overwhelmed, it seems like a never ending cycle of hell. I know how difficult it can be being out of control with food and bingeing. I've been there myself. But believe me, you can lose weight easily and effortlessly with the virtual gastric band. In this workshop you change your attitude and association towards food forever. No more struggle, no more emotional eating, no more failure. The key to success is YOU! No weight loss system will work unless you are committed to losing weight. You must be prepared to change your eating habits and life-style. lf you are totally serious about losing weight then it will certainly work for you. The Virtual Gastric Band Hypnosis system provides you with the tools and ability to lose weight and maintain a healthier body. The Individual Programme consists of 5 consultations over the period of 6/8 weeks. The first consultation is 90 minutes duration and each subsequent consultation is 60 minutes. There is some homework to do between sessions, mainly in the form of listening to hypnosis recordings. The total cost is $900.00 plus GST which is payable up front or by two part payments at the first and third consultations. The total price includes a manual and recordings and any other paperworks which form part of this programme. If you are travelling from the country or interstate then we can tailor consultations to suit your travelling arrangements. It is not about being on a diet. Its about being in control of your portion sizes, being able to eat what you want but being in control. You will regain control over emotional eating, bingeing and eating because of boredom. You will release any addictive cravings towards chocolate, snack foods, take-away foods etc. and gain skills to help you maintain this throughout your life. I have been there, I know exactly what you are going through. So stop the struggle and the endless cycle of Monday morning dieting. Take control of your life once and for all. This makes it easy. You will receive a folder packed with information, worksheets, and a Hypnosis Recordings. 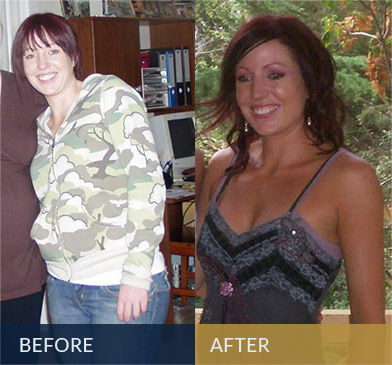 Confidence that you can finally take control of your weight and eating habits once and for all. This system will show you now to feel normal again and regain your self respect. 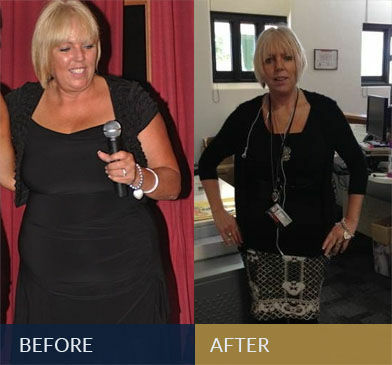 Through my private clinics I have been able to help thousands of clients from all over the world to lose weight and gain control of their eating habits, become self confident and soar their self esteem. We can be stuck with habits, thoughts, behaviours that have rendered us incapable of achieving our true potential, to be happy and healthy. We’ve all been there. We waste so much time by being stuck we forget how to live. I work hard at what I do, so that you don’t have to. It’s a shame that quite often Hypnosis is seen as a last resort, because without a doubt, it achieves long lasting results easily and effortlessly. So don’t waste another minute - regain control over food and your life. Be the best you can, achieve whatever you want and DO IT NOW.